Here’s Pavillon. 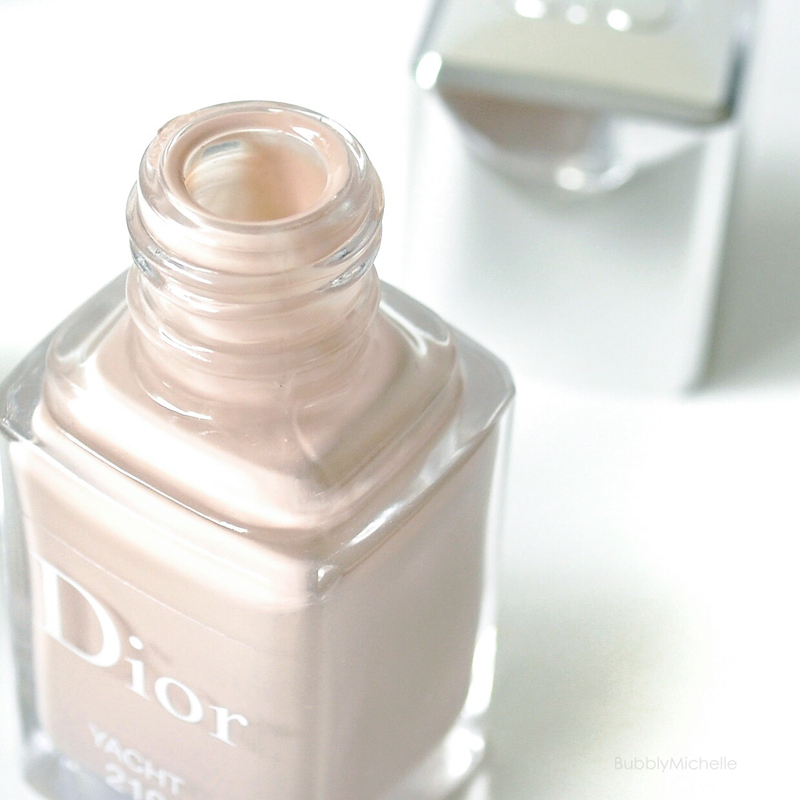 One of the two Dior backstage mono eye shadows available in Europe and Asia that didn’t make it to the American market. Pavillon is a warm shimmery golden peach. 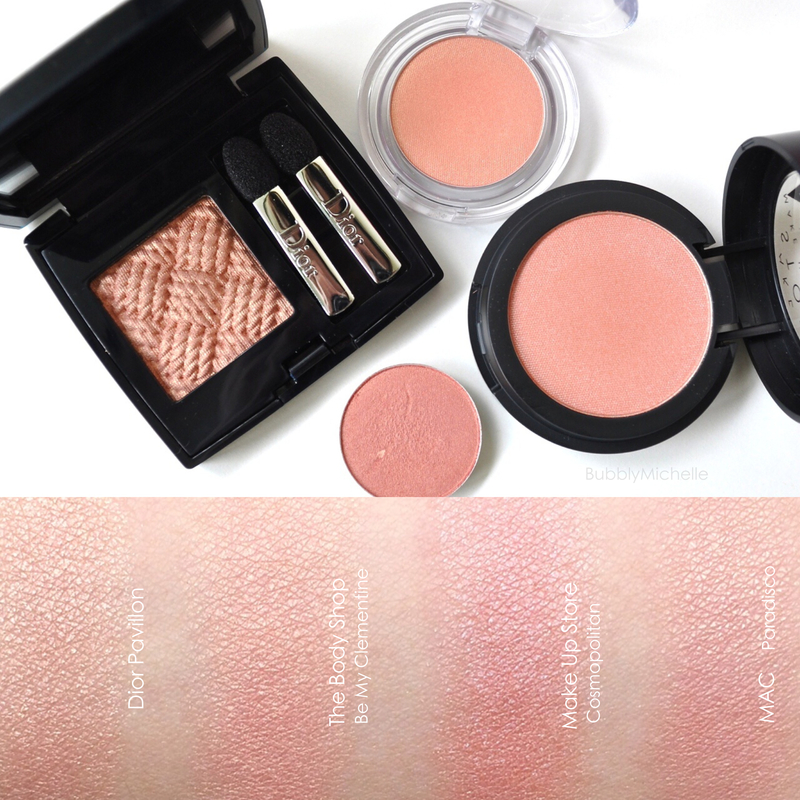 Although many describe it as a coral, the lighter base only allows it to look a warm peach at best when swatched. Here’s Pavillon swatched with some similar colours I had in my stash. Pavillon has a very light base. 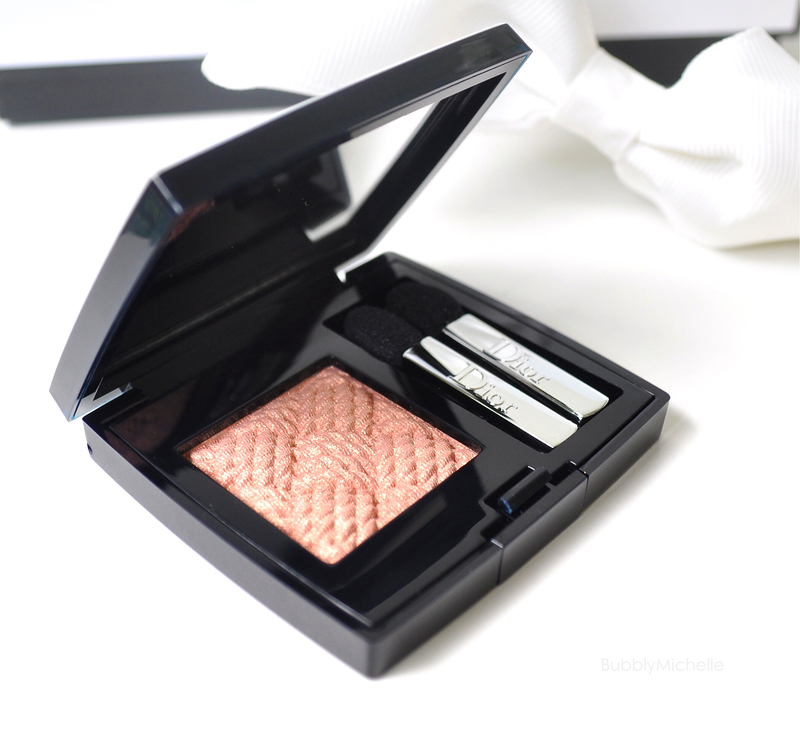 Which makes it flattering on even the lightest of skin tones, specially those who usually find it difficult to pull off a peach eyeshadow without looking like you cried all night. That being said, the gold shimmer in this can be a tad overwhelming. And applied wet, this has an almost metallic look, which I really loved! 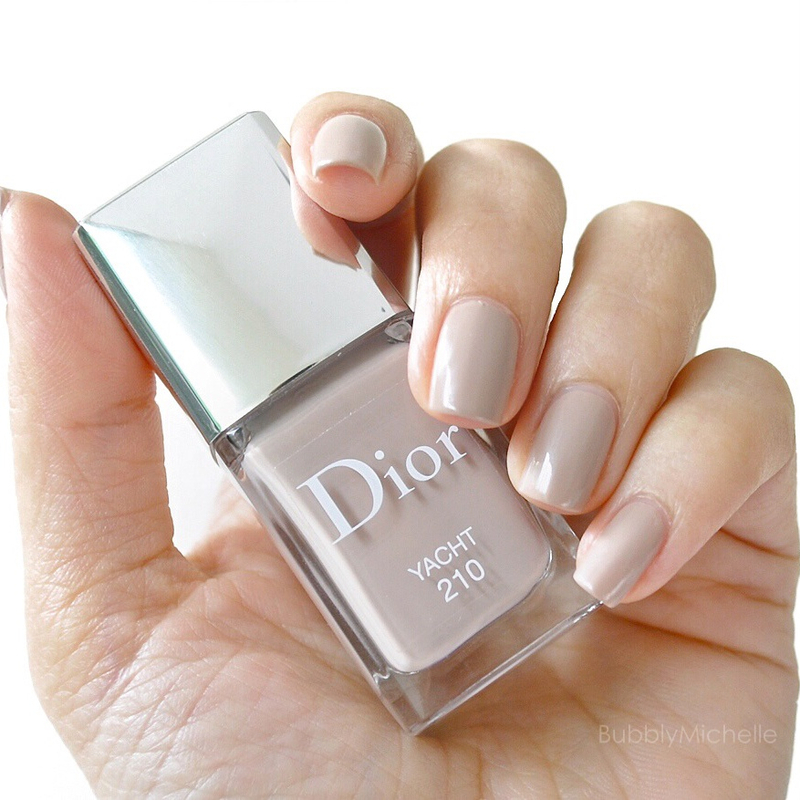 When compared with the Body Shop swatch, Pavillon is warmer, lighter and more shimmery. Make Up Store Cosmopolitan had a deeper redder base and the shimmer was silver. 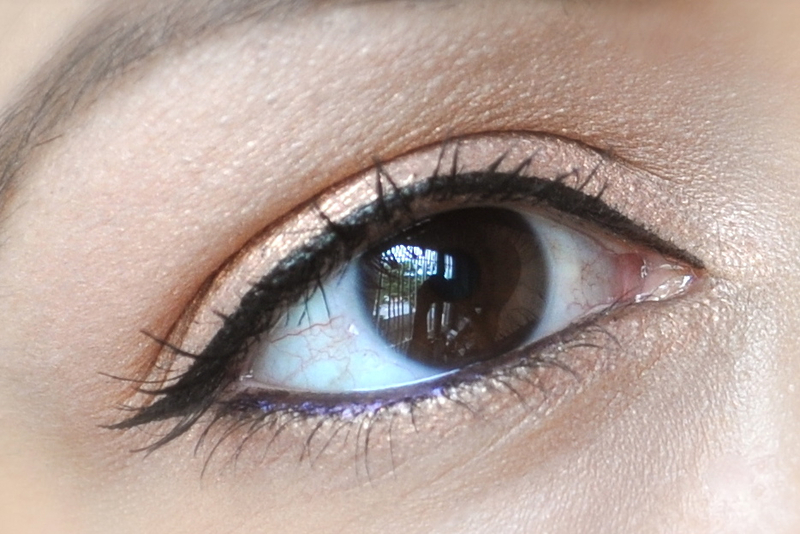 Mac Paradisco is very similar to Pavillon as the gold shimmer content is almost exact. Although Paradisco was more pinky peach and much deeper in colour than Pavillon. I found that Pavillon goes on quite sheer when applied with a brush, and some layering was required to achieve desired intensity. Specially on Medium to darker skin tones i’d advise using this wet. 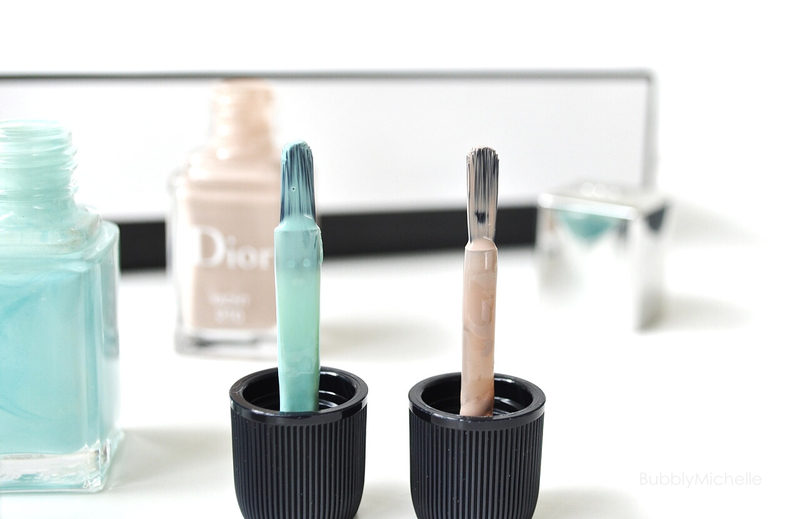 Overall the pigmentation was good keeping with regular Dior standards. But when compared to the likes of NARS, this doesn’t quite hit that mark. I believe it’s a nice eyeshadow to own, although for the price it’s not something i’d be crazy enough to call a must have. Here’s Pavillon once worn. It was a pain to photograph as it doesn’t contrast enough on my medium complexion, but this will have to do! Upper lash line was defined with a Tom Ford liquid liner. 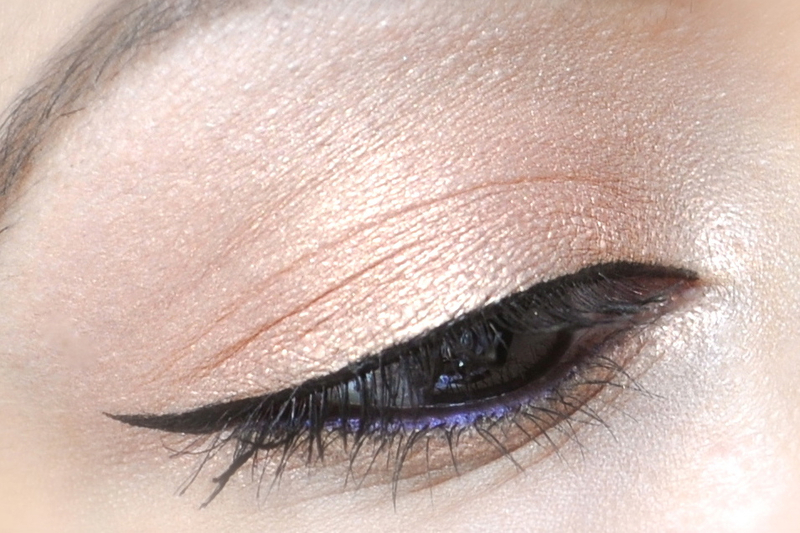 The lower lash line was accented with a purple eyeliner (Awesome Performance) by Make Up Store. I completed this look with one coat of Givenchy Noir Couture Mascara in Black Satin. For brows I used my favourite brow pencil by Kate Cosmetics and the Guerlain brow powder compact. Dior Pavillon retails at SGD 50 and comes with 2.2 g 0.07 oz of product. 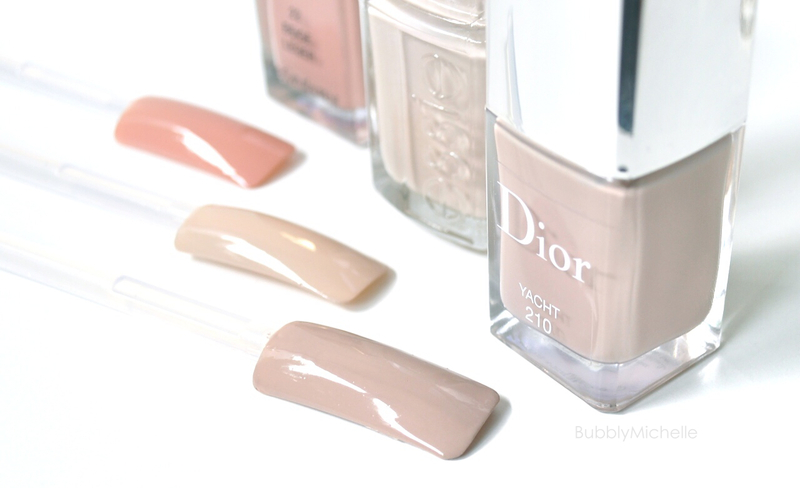 Available at Dior counters Asia and Europe.